Susan D. Corbin, PhD, is an Executive Consultant for Leath Group, LLC—a dynamic curriculum development and intellectual property greenhouse that grows leaders and shapes cultures. In her career, Susan has served extensively as both a conflict mediator and personal coach. Despite the many exchanges that might otherwise define these roles, she considers herself—first and foremost—a professional encourager. Susan brings tactful honesty and tough questions to her coaching practice, believing clients have the answers to their own questions and that every client has a unique perspective on what may seem to be the same question. Susan’s clients benefit from her 25 years of experience at the University of Texas at Austin as graduate student, Undergraduate Academic Advisor, and Graduate Program Coordinator & Coach. She received the Outstanding Graduate Coordinator Award from the University of Texas Graduate School in 2009 for providing dissertation and thesis coaching to the graduate students of the Communication Studies Department. Prior to this award, she received the James W. Vick Award for outstanding undergraduate academic advising. The Vick Award is student-nominated, which goes to the heart of Susan’s commitment to her students’ welfare. Dr. Corbin has presented her communication research to the National Communication Association. She has also given presentations about coaching as an advising skill to the National Association of Academic Advisors and to several University of Texas organizations, including the Graduate Coordinator’s Network and the Academic Counselor’s Association. 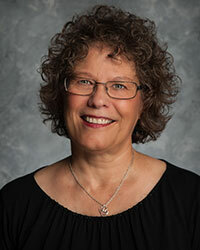 Susan is a certified mediator, having trained at the University of Texas’ Conflict Resolution Center. Further, she taught mediation skills to the Center’s undergraduate students and played an essential role in the Center’s development and current structure. She is a trained personal coach—a graduate of Coach U’s Coach Training Institute, “the leading global provider of coach training programs.” As a coach, her work supports the efforts of students and professionals from all walks of life to become their best selves and reach their leadership potential. As an Executive Consultant for Leath Group, her clients include small companies, large corporations, and government organizations. Susan earned her BS in Medical Technology, her MA in Speech Communication, and her doctorate in Interpersonal Communication at the University of Texas at Austin. Currently, Susan lives in Austin with her husband of many years, John, and with their dachshund, Molly. The Corbin children, Mark and Becky, thrive with their respective spouses in New York and China.